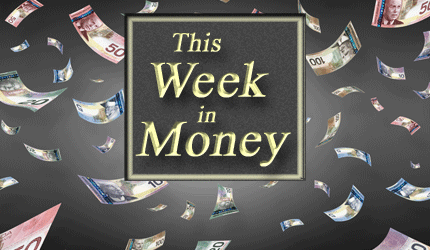 Ross Clark – Explosion in Pot Stocks, Dow, Copper. Gerald Celente – Gold, Tariff Wars, Marijuana, NAFTA, US Domestic Debt. Mike Swanson – Stock Market Sectors including Defense, Uranium, and Marijuana. 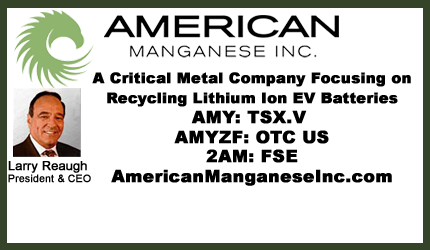 Larry Reaugh President & CEO of American Manganese Inc. on Company Showcase – AMY Has Excellent Reception at Cambridge Show – CEO has several one on one meetings with Funds. Read New Energy Narrative Article “Investor Alert: “Battery Mining” is about to become Big Business and You Don’t Want to Miss the Boat“. Read Clean Tech Investing News Article “eWaste: From Recycling Challenge to Emerging Opportunity“.